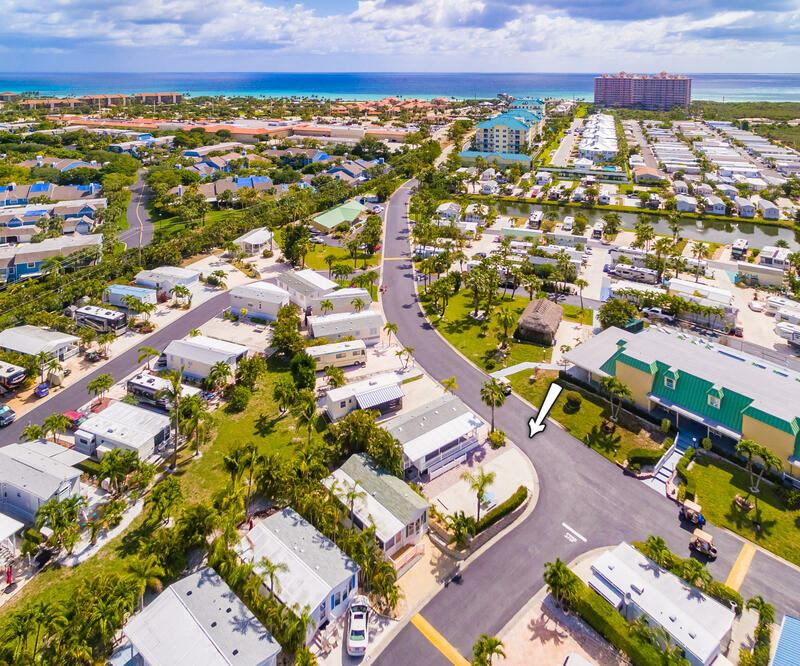 Build your manufactured home or park your RV on this tropical lot located just 100 yards from the ocean in the Intracoastal Waterway community of Juno Ocean Walk RV Resort (formerly Yogi By The Sea). This quiet community is centrally located between Donald Ross Road and Indiantown Road and is only 5 minutes to over a dozen restaurants and 10 minutes to the best shopping Palm Beach County has to offer. The lot can be rented out by the RV office when not occupied. Amenities include a community pool, clubhouse, party room, and picnic area with spectacular sunrise and sunset views, as well as a very large storage parking lot where you can store boats, trailers, and RVs.